Pakistan's blasphemy laws, that inspire direct or indirect killing of a person, has claimed yet another important personality on Wednesday, March 2, in Islamabad, the country's capital. Clement Shahbaz Bhatti, the federal Minister for Minority Affairs, was gunned down by three assassins when his vehicle was coming out of his house on way to his office. He died before arriving at the hospital and his driver was also seriously wounded. According to news agency report, the Pakistani Talibans (Tehrik-e-Taliban Pakistan) claimed responsibility for this minister's killing, terming him a "blasphemer." The attackers also left leaflets at the scene of attack saying: "This is the punishment of this cursed man." The Pakistani Talibans have been calling for Mr. Bhatti's death because of his vocalness and attempts for amending the infamous blasphemy laws of Pakistan. The Talibans, on January 4, 2011, similarly gunned down Punjab's Governor Salman Taseer, a Muslim and a top-ranking member of the Pakistan People's Party (PPP). Mr. Taseer publicly criticized the blasphemy laws and was working actively with Clement Shahbaz Bhatti and others for amendment of these laws so that no one could misuse them in future. Syed Yousuf Raza Gilani, Prime Minister of Pakistan, condemned the senseless killing of his minister. The international community, including their leaders, condemned this attack and asked for justice against this crime. The Vatican spokesman, Father Federico Lombardi, termed the attack "an unspeakable act of violence." He also said: "It shows how right the pope is in his persistent remarks concerning violence against Christians and against religious freedom in general." He said Bhatti's killing should make "everyone aware of the urgent importance of defending both religious freedom and Christians who are subject to violence and persecution." Pakistani Catholic Bishops' Conference, under the Presidentship of Lahore Archbishop Lawrence Saldanha, in a statement urged the government to "go beyond the rhetoric of 'minorities enjoying all the rights in the country' and take practical steps to curb extremism in Pakistan." The Bishops also said: "If the country becomes a killing field of the democratic and liberal individuals who exercise their freedom of conscience and expression, it would embolden the criminals trying to take charge of the country." A long-time activist for minority human rights, Clement Shahbaz Bhatti, a Roman Catholic and a member of the Pakistan People's Party, was appointed Pakistan's federal Minister of Minority Affairs in 2008. Mr. Bhatti founded All Pakistan Minorities Alliance (APMA) in 1985 for seeking equal rights for the minorities. This organization's first campaign was against the blasphemy laws that came into being in 1986. Since then he has been relentless in speaking against and calling for the repeal of the blasphemy laws. 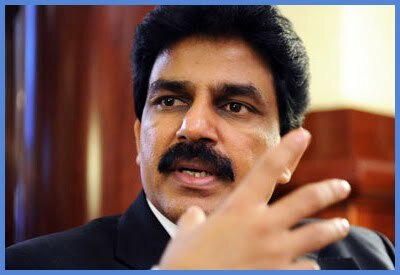 Shahbaz Bhatti was well aware of the threat to his life, yet he boldly wanted to face it for the justice to the minority communities, especially Christians, who are under constant threat and persecution in Pakistan due to the blasphemy laws. On February 7, 2011, in an event in Ottawa, Canada, Mr. Bhatti said: "I follow the principles of my conscience, and I am ready to die and sacrifice my life for the principles I believe." It is no doubt that Clement Shahbaz Bhatti gave his life as a martyr for the great cause of securing human rights for all minority people in Pakistan. In memory of this hero, a monument should be erected in Pakistan. This monument will act as an inspiration for all minority groups.